Margaret Ann Seaton, 99, of Pleasant Hill, was born, January 12, 1920, in Pleasant Hill, the daughter of Walter and Hilda (Fredrickson) Matthes. She departed this life, Monday, March 18, 2019, at the Crown Care Center in Harrisonville surrounded with love and family. On January 5, 1944, she was united in marriage to Charley F. Seaton in Springfield, Missouri. They spent the next 40 years devoted to each other raising three daughters and dairy farming. Margaret worked at the Pleasant Hill Bank and enjoyed many activities. She was past treasurer of the Pleasant Hill Lioness Club, past treasurer of the Pleasant Hill Senior Citizens, and a long time member the Pleasant Hill Cemetery Board. She loved spending time with family, gardening, cooking, playing cards and traveling. 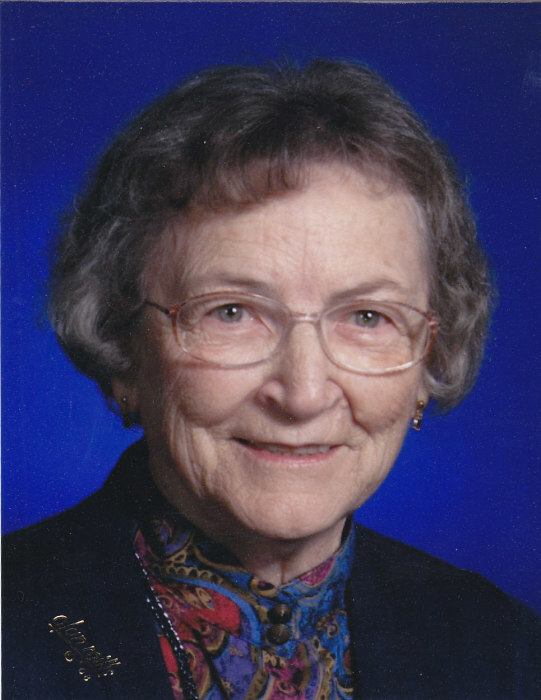 She was a faithful member of the Pleasant Hill United Methodist Church. Margaret was preceded in death by her husband Charley on December 1, 1984; one brother Walter Matthes, Jr.; and one sister, Elizabeth Hanicke. She is survived by three daughters, Ann Tribble of Pleasant Hill, Nancy (and Paul) Spoon of Springfield, Missouri, and Janet (and Bill) Ott of Houston, Texas; six grandchildren; one sister, Pauline Shull of Mesa, Arizona; sister-in-law, Adabel Matthes of Harrisonville; other relatives and friends. Funeral services were held Saturday, March 23, 2019, at the funeral home. Interment was in the Pleasant Hill Cemetery. Visitation was held one hour prior to the service at the funeral home. Memorial contributions are suggested to the Shriner’s Hospitals for Children in St. Louis and may be sent in care of the funeral home.